Every year there is a lot of anticipation around Pantone's color of the year and we have to admit that this year was no exception. 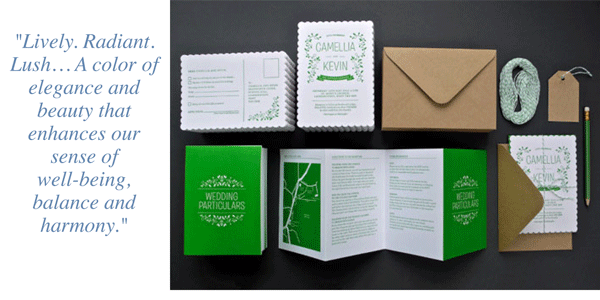 We are excited to show you a few of our favorite things about Pantone's 2013 pick - Number 17-5641 in Emerald Green. This refreshing choice for 2013 follows last year’s color Tangerine Tango. It’s quality to create a boost of energy helped an economy that needed to recharge and move forward. With a new year full of dreams and goals. 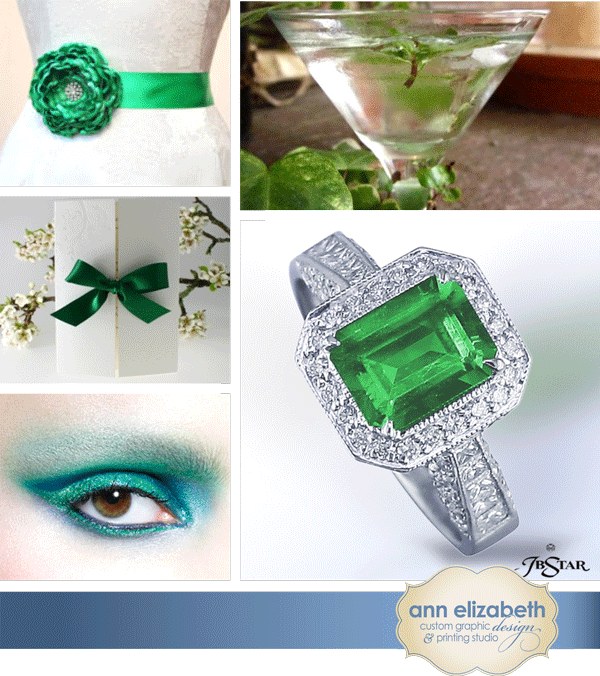 Emerald green creates a sense of rejuvenation, balance and harmony. The human eye sees the color green more in the color spectrum than any other color, making this years color great to incorporate into our daily lives through fashion, beauty, home decor and design. The concept of the Emerald Isle Martini is definitely a favorite around the studio this week. With the simple ingredients and refreshing look, it’s a must have drink for any occasion. We're also loving the bold move of going emerald green for makeup. With all the options you have with eye shadows, liners, mascaras and nail colors, your sure to get noticed. And lastly, all of the gals at Ann Elizabeth are a little ga-ga over how this bride incorporated emerald green into her wedding. The brides maids dresses are elegant yet fun and the bride brings her own pop of color by wearing emerald heels.